Did you know that Facebook use can affect grades, and that only about 1% of students in a research study could correctly draw the Apple logo? 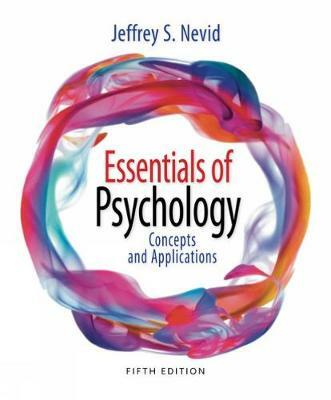 Written in an engaging style that speaks directly to readers with examples of psychological concepts drawn from daily life, this brief introductory text makes the study of psychology interesting while providing solid grounding in the subject's knowledge base to help you succeed in the course. With built-in learning aids, ESSENTIALS OF PSYCHOLOGY: CONCEPTS AND APPLICATIONS, 5th Edition features an effective learning system that helps you absorb and remember important information. In MindTap, the text's online learning experience, you'll fine author podcasts and videos that you can access from your smart phone, direct links to TEDTalks, interactive learning activities, cool apps, and more.